The Bandit Lifestyle has teamed up with a bunch of fantastic bloggers have teamed up to offer a great giveaway just for their amazing fans. The Amazon Echo is one of the neatest tech item around. If you haven’t really seen all it can do, check out some of it’s great features below! The Amazon Echo comes in black or white, and are available for purchase for $179.99 on Amazon. Now for the best part of all one lucky winner will have the chance to win the Amazon Echo in either Black or White, winner’s choice. Giveaway is open to US residents, 18 and up only. Winner will be notified via email and will have 48 hours to respond or a new winner will be chosen. Giveaway ends June 25, 2017 at 11:59pm EST. Enter to win via the widget below and good luck! Disclosure: All opinions are 100% mine. 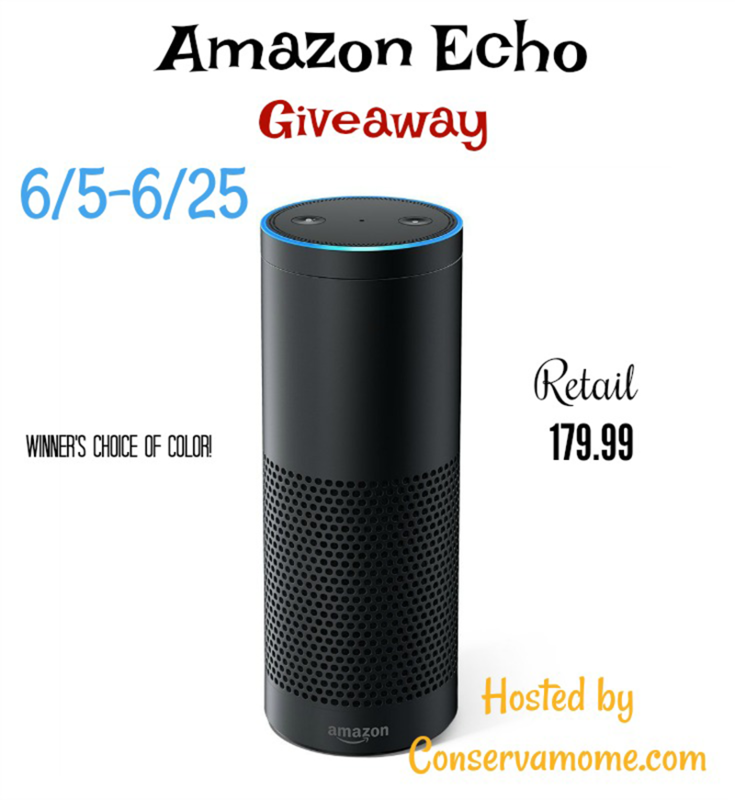 This giveaway is in no way associated with, sponsored, administered, or endorsed by Facebook, Twitter, Google, Pinterest or any other social media network.All opinions and experiences are Conservamom‘s. Open to US residents only , must be 18+. Confirmed Winner(s) will be contacted through email and have 48 hours to respond before a new winner will be drawn. No purchase necessary. Void where prohibited by law. The sponsor will be responsible for product fulfillment to winner(s) of the giveaway. The disclosure is done in accordance with the Federal Trade Commission 10 CFR, Part 255 Guides Concerning the use of Endorsements and Testimonials in Advertising. For questions or to see your product featured in an Event you can contact melanie (at) giveawaybandit (dot) com. « Make The Most of Your Smartphone With These Cool Gadgets!